Good afternoon and welcome to the 2018–2019 academic year. I hope all members of our community had a chance to have some rest and relaxation during our beautiful summer months and that you have started the semester with renewed energy and commitment. We normally have a great deal to celebrate as we start a new academic year, and this year is no exception. The 2017–2018 academic year was one that was filled with new projects, programs, and tasks to better serve our Buffalo State students and our internal and external communities. I saw many of you throughout the summer months, and so some of you did not seem to take a break at all. But by the end of August, all faculty and staff had returned, ready to teach students and guide them toward success. The summer research, projects, and work has been put aside, and by now we have all fallen into our familiar fall semester patterns. So here we are, gathering our energy to take a deep breath as we all fully jump into the new academic year. As is typical, I will recall the accomplishments and the trials of last year as we begin again. We had another year full of many gains, adjustments made, and movement forward. 2017–2018 was a year where several members of our community hit significant years of service to Buffalo State, and with that came the predictable retirements. Many people were acknowledged through large or small campus gatherings that allowed us the opportunity to wish them well as they transitioned to a new stage. We also had a few members leave our community to take on other opportunities, and we wish them well in their new positions. I begin my remarks by reminding us of some of the many changes that occurred last year. Among the new faces on campus are several members of our senior leadership team. Dr. Tim Gordon joined us as the vice president for student affairs during the beginning of the spring semester, coming most recently from the Wisconsin system. 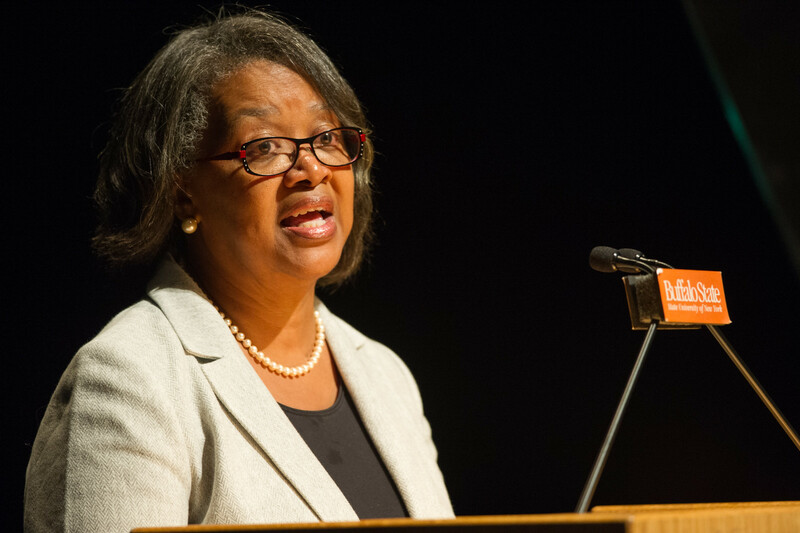 Dr. Jacqueline Malcolm joined us as CIO and vice president for enrollment, marketing, and communications in July, coming from a leadership role in communications at Catholic University. Mr. Jim Finnerty joined Buffalo State as vice president for institutional advancement in mid-July, coming most recently from a leadership role in advancement at Oishei Children’s Hospital. And Laura Barnum joined us just two weeks ago as vice president for finance and management, having held previous leadership roles in resource management at the University at Buffalo. Would all of our new vice presidents please stand so you can be recognized? 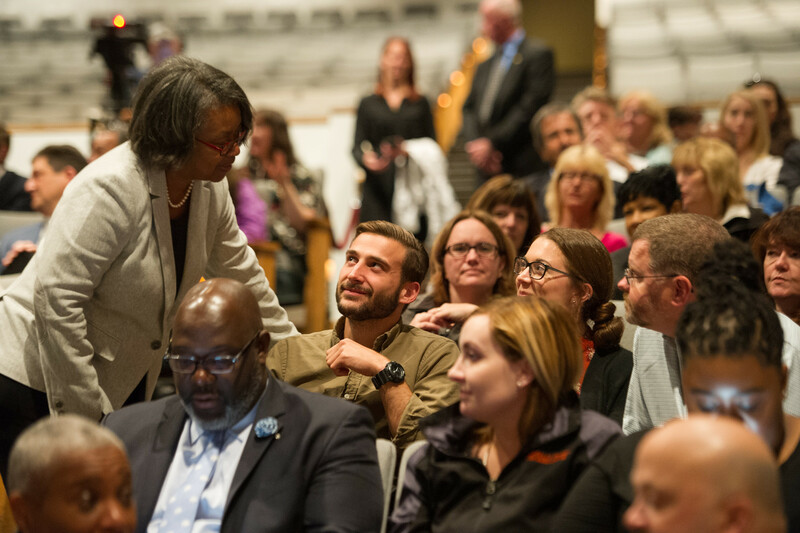 Would all other new faculty and staff who have joined us since last September please stand so that we can recognize you again and warmly welcome you to the Buffalo State family? Last year we had a very busy year, so I’d like to take a little time reminding us of some of the many projects that we completed, moved along, or began during the past academic year. Within the division of Academic Affairs, there were many significant accomplishments during the year. Academic advisement was a significant focus. As many of you know, the Committee on Undergraduate Retention, the College Senate, and surveys from students all provided a clear picture to our campus that we needed to enhance academic advisement. Thus, last year we implemented a mandatory student advising policy that provides all undergraduate students the advisement that can assist them in successful progress and completion within their majors. We also added additional supports for our students including student mentoring, supplemental instruction, and new summer bridge programs. So in many ways, we have deepened our student success support in ways that will benefit students now and in the future. Diversity and inclusion are always a part of the work of each division, and last year was no exception. Last year, and for the fifth consecutive year, Buffalo State was the recipient of the HEED Award (Higher Education Excellence in Diversity Award) from Insight, the higher education diversity magazine, recognizing our significant and deep commitment to diversity, equity, and inclusion. We held our Buffalo State Dare to Care community service program last fall for record numbers of participants again. 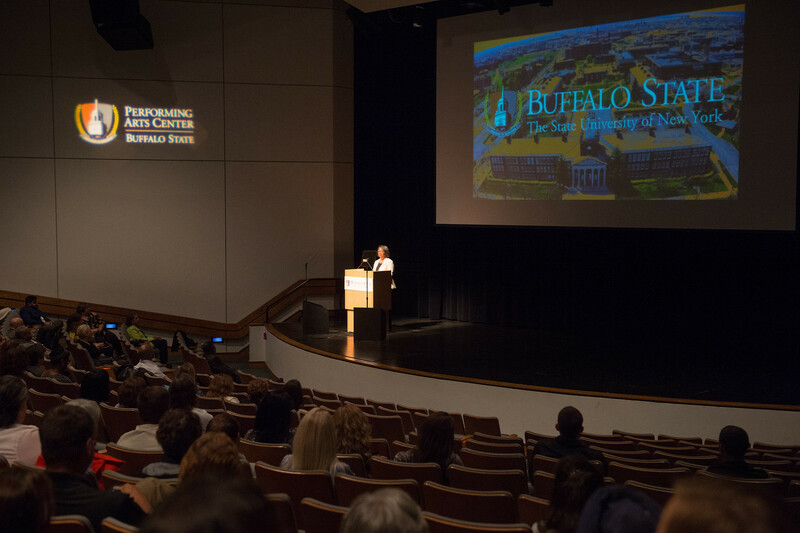 Serving our community and the public good are important aspects of our Buffalo State fabric. On the student side, the Honors program was enlarged by adding Dean’s Honors students and bringing signature scholarship programs under the Honors umbrella with a clear eye to ensuring that our program is outstanding, diverse, and inclusive. We also celebrated the 50th anniversary of the Educational Opportunity Program. As SUNY’s first EOP program, we long ago charted a path for others to follow. And on the faculty side, we continued to enhance our recruitment of diverse faculty. The provost and the chief diversity officer worked together to develop a Faculty Diversity Fellows Program. This program has allowed us to bring two new faculty members from diverse backgrounds onto our campus. From Academic Affairs, several new initiatives were developed last year by faculty members that will serve to address student interest. These include an Advanced Certificate in Student Affairs Assessment and the newly formed interdisciplinary units of Conflict Analysis and Resolution, Data Analytics, and Environmental Studies. We held many showcases of the work of students and faculty throughout the year, including the spectacular Runway 11, which was the talk of Western New York before, during, and weeks after the show. Maintaining a stellar tradition, RITE continued to work hard to maintain and augment our significant technological infrastructure. And again, RITE hosted the FITT Academy. 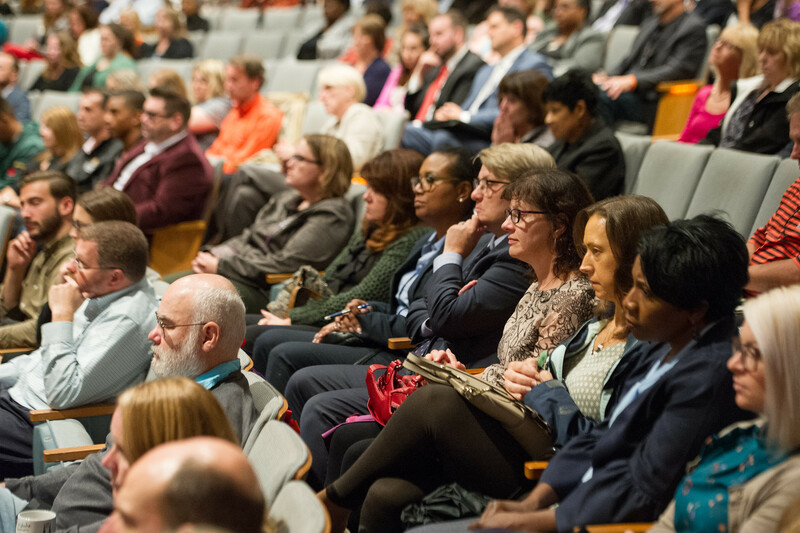 The third annual program to foster innovation in teaching with technology was a huge success. This hands-on program again did a magnificent job leveraging technology to enhance classroom teaching. RITE worked across divisions to implement our version of Starfish—the Bengal Success Portal—to provide additional ways to foster the retention and completion of our students. This electronic framework will provide additional opportunities for faculty and staff to monitor student success, intervene quickly, communicate, and guide students toward success. On the admissions side, our Undergraduate Admissions team held our largest open house in history during the spring of 2018. This record gathering surpassed the capacity of the Performing Arts Center and overflowed into Ciminelli Hall. We also had a very successful fall open house showcasing our Buffalo State programs and facilities. In both events, the entire campus community worked together to share the Buffalo State experience with prospective students. Among the many exciting recruitment events held by Admissions was a new collaboration with New Student and Family Programs called “Be a Bengal” at the SUNY Welcome Center in NYC. The program provided exposure, information, and on-site application and acceptance for prospective students. We also increased our efforts to offer greater numbers of high-impact practices last year. The number of learning communities more than doubled from the previous year, and the number of service-learning courses continues to increase. Over 2,300 students enrolled in service-learning courses last year, and the completion of these courses continues to be significantly correlated with student success and completion rates. For all those who experienced our “View and Do” eclipse-viewing event on campus, I am sure you will agree that it was an impressive event. It was a campus and community assembly that created a clear and powerful memory. Thanks to all who pulled together across divisions, including our Alumni Engagement and Events Management staff. And a special shout-out to Associate Professor Kevin Williams, who had a vision and executed it so completely, allowing Buffalo State to be a place to learn about and experience a total solar eclipse. Exciting programs emerged from our Career Development Center last year. The center hosted the inaugural Internship Appreciation and Recognition Event, where we recognized successful Buffalo State interns, coordinators, and partner organizations. And the Suit-Up Event was launched, where we partnered with JCPenney so that students and alumni could purchase business clothing at a significantly discounted price. This allowed our students to be ready to dress for success as they launch into work and next-step experiences. This event was a truly collaborative event, finding the Fashion and Textile Technology Department, the Career Development Center, and the Alumni Engagement Office working together to make this a successful event. Chartwells, our campus dining service, introduced new items to the Bengal Kitchen and launched an Eating Green campaign. Guests increased their satisfaction with campus dining 6 percent, and dining saw a 24 percent increase in student ratings of food. Within the Dean of Students Office, we saw the continuous care for students gain yet another way to bridge the gap. Buffalo State received a $75,000 grant to provide emergency relief for students facing unexpected financial needs, and Milligan’s Food Pantry provided food to nearly 400 students with food insecurity last year. We know that these kinds of services are extremely important in providing a safety net for students who sometimes experience unexpected hardships. Within our Intercollegiate Athletics program, many individual and team honors were achieved. Seven teams advanced to postseason play: football, men’s hockey, men’s soccer, women’s basketball, women’s hockey, women’s lacrosse, and softball. We also had 105 student-athletes honored on the SUNYAC Academic Honor roll with a 3.3 or better GPA. And student-athletes continue to give back to the community, contributing more than 1,250 hours of their time to community engagement programs including the American Cancer Society, Gateway Longview, Kids Night Out, and Yards for Yeardley. Within our Advancement division, the biggest news is the completion of the much anticipated Jacqueline Vito LoRusso Alumni and Visitor Center on the corner of Rockwell and Grant. The official opening will be during Homecoming week. This beautiful new building will be the first stop for prospective students as they come to visit campus. Additionally, the building will be a gathering place and greeting space as alumni come back to campus. It will also add to our locations on campus for multiple uses and expand our ability to host college-related groups. Our scholarship gala is the largest single fundraiser event for scholarship dollars each year. Our fantastic 2018 Bengala was a huge success, thanks to all volunteers, and a special shout-out to Associate Dean Carlos Jones, who conceived our Hollywood theme and brought it to life with the help of our Buffalo State student performers. Our reach to alumni expanded, including the development of a Young Alumni Committee and an increase in articles developed and published to share the successes of Bengals across generations. We exceeded several goals within development last year. We surpassed our annual funding goal for last year of $4 million, reaching $5.2 million in generous donations to support students and campus efforts. We also exceeded our goal for new Peterson Society members and will induct 30 new members into the society. The Peterson Society recognizes individuals and families who leave a planned gift to the college. In addition to the new Alumni and Visitor Center, we also completed, under the leadership of Finance and Management, a thorough renovation of Bishop Hall, returning it to its original use as a residence hall. Among the significant renovations are single-occupancy bathrooms accessible from the main corridor and all new mechanical, electrical, and plumbing systems, plus many other enhancements. It is also noticeable that last year we saw Phase 4 of the Science and Math Complex begin. This project is now under construction and is scheduled for completion in 2020, with a cost of $35.5 million for this final phase. This construction will add the much-anticipated planetarium, greenhouse, and additional offices and research spaces. Many other projects were in various stages of rehab, planning, or design throughout the campus last year, including rehabbing Tower 3 and the design of the Academic Commons, the location for a one-stop student support system that will be housed on the first floor of Butler Library. Finance and Management staff were also engaged in the completion of many energy-saving projects throughout campus. Of interest to many members of the community were the exterior lighting upgrades completed last year that are not only energy efficient, but also enhanced safety through greater illumination. Our college resources continued to be on our minds last year. We continued our focus on rebalancing the budget to address a $7 million budgetary shortfall. 2017–2018 was year two of the three-year goal. I communicated with the campus community during the summer that we met our year-two goal, and have now reduced our expenditures by $4.2 million. So we have met our first and second year rebalancing goal. I appreciate the careful scrutiny and tough decisions that were made throughout every division as we met our rebalancing figure. Although it is always more enjoyable to have more resources than you need, this shortfall has pressed us all to think creatively and strategically about the work we do, to collaborate more fully, and to forge cross-divisional connections to get the work done. These new efforts are not without some adjustment, but they represent the sustainable work of the future so that we can continue to be relevant and effective as we serve the educational and future needs of our students. Thank you all for your individual and collective efforts to meet our rebalancing goals. I would like to express my sincere thanks for the past and continued work of the Budget Committee Support Group, chaired by Rebecca Schenk. The Budget Committee Support Group played an integral part in our rebalancing efforts. Just this spring, the committee analyzed and reviewed all campus suggestions to assist our rebalancing efforts and presented a report for the cabinet to review. This report was extremely helpful, and we spent a good portion of our yearly retreat reviewing and discussing the items they forwarded. We will be pursuing the most feasible suggestions as we move forward. Many suggestions are already in place or reinforce our current efforts. Suggestions include both ways to reduce expenditures and possible ways to increase revenue. This last year has been marked with tremendous successes throughout the college and critical decisions to secure the campus financial security in the future. The challenges and opportunities were significant last year, but I am pleased to report that we continue to make positive and significant movement forward on our strategic goals, and I look forward to enhanced accomplishments as we move forward. Because a picture provides a visual reminder of the work of last year, and because I have touched on only a few of the many highlights from last year, I share with you a visual review of some highlights from the 2017–2018 academic year. These are merely examples of some of the many bright spots from our last academic year. I’d like to share some of my thoughts on the role of education in a democratic society. I spent a good deal of my time of late thinking about the role of public education to foster the public good for our society in general, and of course, most centrally on the role that Buffalo State plays as an urban-engaged anchor institution. Our central role to provide an outstanding education to all members of our community is one that is recognized both within and outside of our campus community.  Each year more than 2,500 undergraduate and graduate students complete degree requirements at Buffalo State College and launch to their next-step experiences. There is no other day more joyous than Commencement day in May, when students walk, dance, or glide across the stage to publicly demonstrate the completion of this milestone. And again, as we begin yet another academic year, I remind us all of the important part that each of you plays in the success of our students. As W. E. B. Du Bois stated, education is a fundamental right that should not be compromised. We all believe in the power of education, and each of us has our individual story of the opportunities that education has opened. We each know that when doors are opened, we can best enter those doors when we are prepared. We are all a part of the support team that allows dreams to come true at Buffalo State. We have spent the last several years thinking about what happens after a student makes the good decision to come to Buffalo State. We have pondered the importance of having a curriculum that best prepares a student for future success. Our current efforts to revise general education requirements demonstrate the faculty’s recognition that a sound, contemporary curriculum is essential to the success of our students. We have looked earnestly at how we advise students and support students and have augmented the systems that create a nest of support. We have tackled how we can provide housing, dining services, and technological infrastructure to best serve our students, and we have carefully assessed what else should be done to ensure a safe, sustainable, and thoughtful environment for our students and community members. We seek to develop a community where students thrive and the endgame points to degree completion and future success. I am here to reaffirm with my words that we have done much on all of these important efforts. But in some ways, our work is a never-ending story. We will always need to carefully watch the needle on all these efforts. We will never be finished ensuring that our curriculum is up to date, that the facilities are at an optimal standard, or that we need to make sure each and every student receives the support that is needed to move him or her to persist, to be retained, and to successfully graduate. So as much as I applaud a job well done and thank you for the good work you are doing, I must ask you to continue the pace. Our work is a never-ending story, or as my children used to say, a song that never ends. Today I remind you of yet another important task that we all have as we work with our students. We should foster students to become engaged citizens. We seek for our students to not only be personally and professionally successful, but we seek to foster students’ commitment to the larger good, the public good. We seek to develop fully engaged citizens. There are many parts of our community that support the importance of participatory democracy. Just last month, I blogged about the many ways our coursework is tied to our community. We have students interviewing key people to develop oral histories so that we will be able to archive, examine, and document the role of key leaders within our communities. We have students exploring our environment and addressing whether current behavior is consistent or not with a sustainable world that supports life as we know it today. We lend our energy to newcomers who are trying to make Buffalo their home and to those who have been marginalized for generations. We seriously assume our role as an anchor institution, and we explore ways to enhance our role as a partner in the public good of the many communities we touch. As we deepen our role as an anchor institution, I ask you to explore what additional work we should be doing. Or perhaps you merely need to share some of the work you are currently doing that aligns with our anchor mission. For the last 18 months, more than ever before in my professional life of over 35 years, I have been drawn into thoughtful conversations and debates about the role of education in a democratic society. I have always believed that education forges a responsibility. A responsibility to utilize critical thought and analytical skills in making decisions regardless of your professional work. The responsibility as I see it is a responsibility to participate in the betterment of your community and those around you. I am not indicating a prescriptive responsibility but a willingness to be a part of the solution to the problems communities face and not the participator in community harm. There is evidence that students who read, analyze, and become more engaged in politics around them through courses and cocurricular connections are more likely to be engaged postgraduation. Engagement in this case means reading news more regularly, talking about what is happening in their community, and participating in the democratic process. In a Carnegie report, “Engaging for Democracy: Preparing Undergraduates for Responsible Political Engagement,” Thomas Ehrlich examined 20 college programs that focused on college engagement and found that such programs had a positive but nonideological increase in engagement. Thus, community engagement in college does not change your political party affiliation or political leaning, but it does increase your democratic engagement and how you express what it means to be an active and engaged citizen. The element of political engagement that is easy to assess is voting. In fact, the summer issue of the American Educator was devoted to “The Power of Active Citizenship,” and I read it with great interest. Voting is just a first step to full participation as an active citizen. Next, engaged citizens must move to give voice and action to support of the public good. Throughout the volume, authors consider what we should do to teach civic engagement and foster participation in the democratic process. Some may say this is NOT our responsibility; just let someone else do it. But who is that someone else, and who is better equipped than a college community? As college educators, we have a unique role in fostering attitudes and behaviors that will last a lifetime. If we can teach students to analyze critically and write persuasively, then we can foster an appreciation of the democratic process. If we can teach students the scientific methods and how to apply such reasoning to the world around them, we can also promote civic engagement. If we can encourage an appreciation of nature, art, music, and altruism, can we not cultivate a desire to be part of lifting up your entire community? Lending your voice by voting is a part of the process of contributing to the democracy we cherish. If we seek a world that strives for the broader public good, we must embrace the messy work of participating in the democratic process. We must be willing to engage in robust and sometimes difficult conversation to debate and define an agreement as to what is best for our community. We must be willing to examine the materials and reports developed by researchers, scientists, and experts that provide information on difficult and sometimes hot-button issues. We must encourage our students to not only gain a diploma, but gain an education and know how to process, examine, and define their perspectives. In How Democracies Die, Steven Levitsky and Daniel Ziblatt lay out an alarming pattern of the conditions that erode and kill the will of the people. We must use the cautionary tales of erosions to democracy and understand that as educators, we need to encourage engagement with our communities, our institutions, and with the many organizations that come together to seek and serve an inclusive and democratic future. As we begin our year, remember that education has a part to play in supporting a democratic world. We should encourage our students to learn about the democratic process. We should support them not only to register to vote but to carefully analyze the candidates’ views, perspectives, and actions and then to vote for those that best represent the public good. We must encourage students and our entire community to be active citizens and to strive for what is best for our future. As a young person decades ago, I was eager to be a part of the democratic process. I had studied the history of the many women and men who fought to be able to participate in shaping the world around them. I knew of those who were killed, beaten, fired, and prevented from the basic democratic premise to vote. Whether you relate personally to the women’s suffragette movement and women like Susan B. Anthony who fought for women to have the right to vote, or the much longer battle for African Americans and other marginalized groups fighting for voting rights as seen by Frederick Douglass, Fannie Lou Hamer, Martin Luther King Jr., and Julian Bond, many of us know that participating in the democratic process has not always been afforded to all citizens, and this right continues to be under siege. 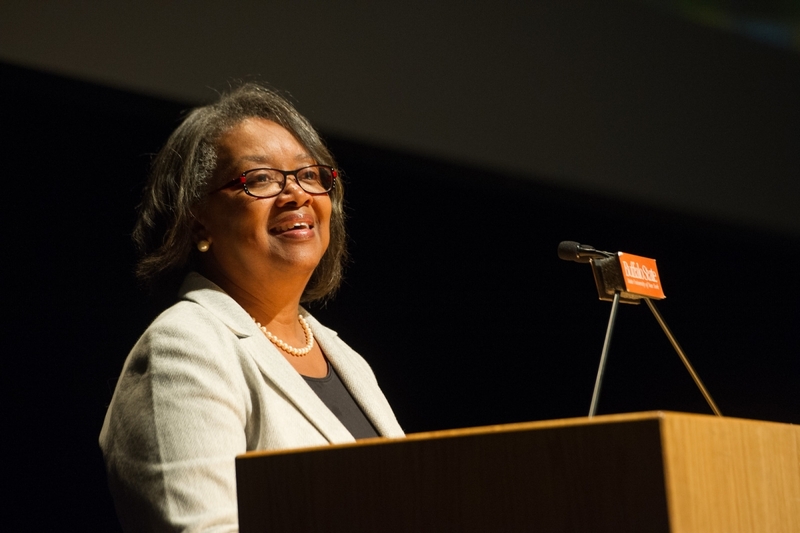 Just last week, Diane Nash, a 1960s student leader of the Student Nonviolent Coordinating Committee called SNCC and a participant in the desegregation of southern facilities, spoke at our campus. She reminded us all that we cannot take democratic rights and privileges for granted, no matter where we live. I have joined other college presidents around the country to support Education for Democracy. There are six core tenets that we all support. That student voting matters: voting as a young adult starts a habit of participating in the world around you, lending your voice to the discussion, and seeking to empower elected officials who care about our world. Democracy in principle and in practice: supports students’ exploration of the principles of democracy and what it means to practice those principles. Deliberation for our shared future: fosters a continuous discussion and debate on what our shared future should look like and how we create a future that supports the many of us and not just the few. Understanding media fact and fiction: lending the analytical tools that are honed in college to understand what is fact and fiction that is observed across varied and increasing media outlets. The importance of the development of student leadership: What does student leadership look like and how do we foster leadership skills among our student populations? How can we help students learn to lead earnestly and effectively? Teaching for democracy: What should be in our curriculum to assist students in understanding when democracy is manifested here and across the world and why it is important to preserve democratic principles? So as we start the 2018–2019 year and move forward, let us add to our understanding the importance of the role of education in a democracy. How can we inside and outside the classroom foster engaged citizens? Let our students in all their diversity know that their place is every place. And that with education comes the responsibility to be fully engaged in your community, to seek the public good, and to exercise the basic tenets of democracy—voting and being an active citizen. I hope you can join me in contributing to the development of engaged citizens as we work with students and our Buffalo State community. I wish you a wonderful year, and may you find your work uplifting as you tackle the opportunities and challenges that will unfold during this year. And I invite you to join me this Saturday for the 2018 Buffalo State Dare to Care Day, where we as a campus community demonstrate our collective dedication to supporting our community.